Yucca pendula, or Soft leaf yucca, produces linear deep blue-green leaves that have a similar appearance to iris leaves; creating striking foliage contrast in the landscape. Overall, the leaves of soft leaf yucca are much softer than other yuccas; but they still produce a sharp point at the terminal of each leaf. This yucca forms many rosettes within a single plant that creates a very dense clumping habit. This multi-stemmed plant can be trimmed up at the base to create a trunk for a different look. Creamy off-white bell shaped flowers form on tall branched flower spikes during the summer. Because the flowers of yucca pendula are more fragrant at night, they play an important role for night pollinators, such as moths and bats. 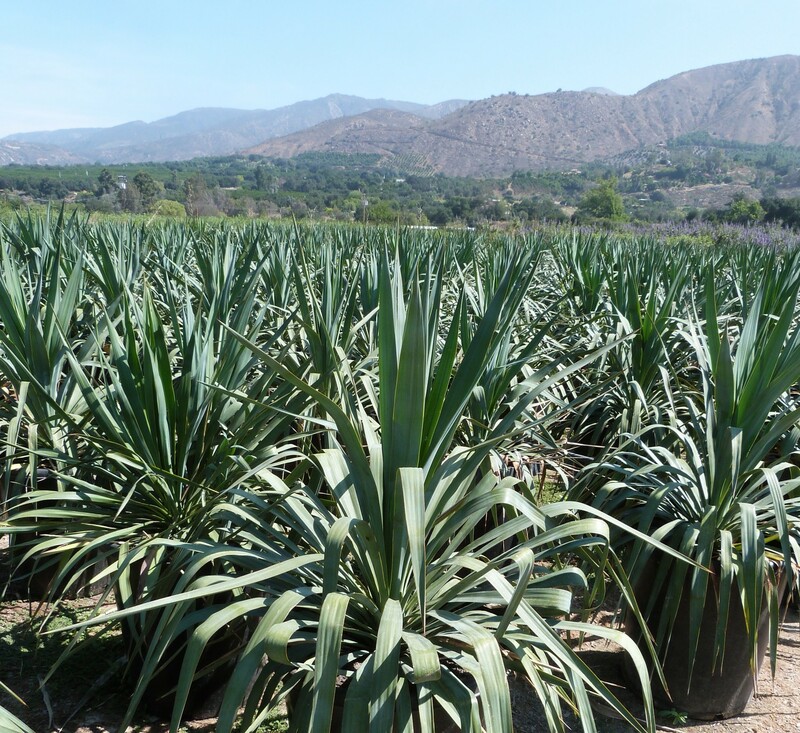 This yucca is very versatile and tolerant of poor soils in landscape as well as tolerance for salinity. Even so, plants will always look their best if you amend the soil to improve drainage; soft yucca doesn’t appreciate wet feet. Soft leaf yucca is very drought tolerant but will have a nicer appearance if provided with some supplemental water in the hottest part of summer. Plant in full to part sun for best growth.